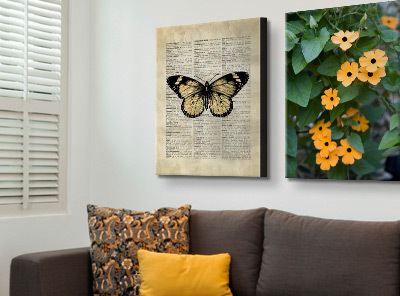 A new take on a classic, Vintage Dictionary art pairs modern designs with vintage dictionary pages for a memorable look that goes with any style of decor. 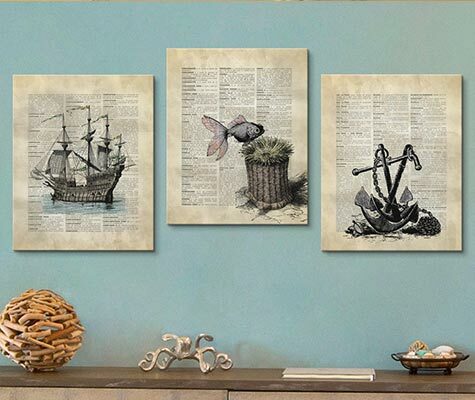 Each piece from the Vintage Dictionary Art collection is printed on high quality canvas before being smoothed over a sturdy frame that won't stretch or sag, so you can enjoy it for years to come. With this collection, you can enjoy the perfect pairing of words and illustration.